Having a broken or damaged electrical socket isn’t just an inconvenience, it can also be quite dangerous. It can be a fire hazard, and using them can result in electrical shocks. Fixing them can also be dangerous though, so you should only do so if you’re knowledgeable about what you are doing. 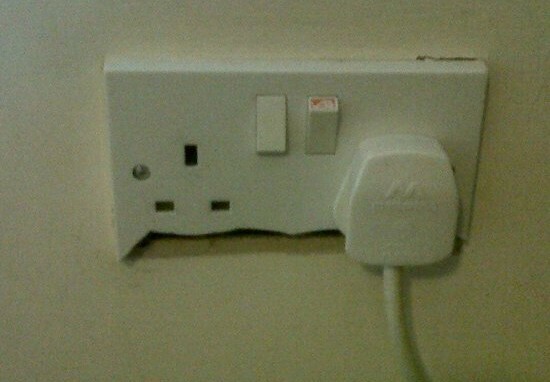 Ease the socket out of the wall. Wherever there are wires coming out of the wall and into the socket fixture, there should be screws securing those wires in place. Unscrew/loosen those. Place those wires in your new socket. Test the socket to see if it works. If it doesn’t, review how well those wires have been connected well. If it still doesn’t work, time to call the electrician!